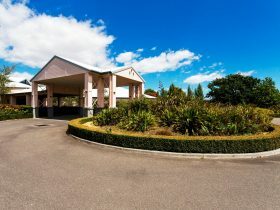 BIG4 St Helens Holiday Park offers you a variety of accommodation choices in our award-winning caravan park which is located only 300 meters from the waterfront of St Helens. 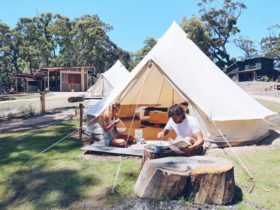 A perfect place to base yourself when exploring the Bay of Fires, Binalong Bay, St Columba Falls, Scamander & Wineglass Bay. The Park boasts a brand new Bunkhouse accommodation area. 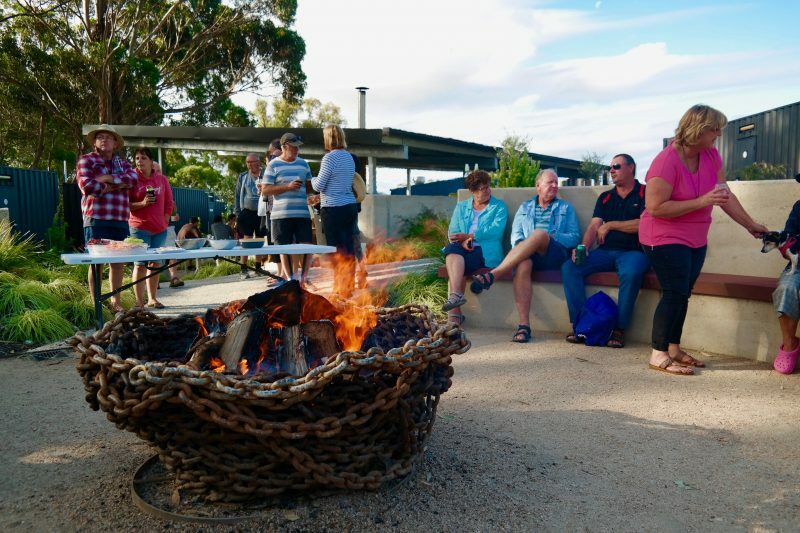 State of the art Bunkhouse facilities includes a fire pit with seating all around, wood-fired pizza oven, huge outdoor camp kitchen, 2 single beds per cabin and ensuite style amenities. 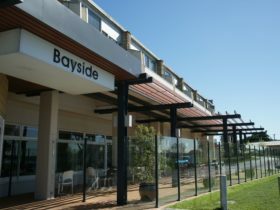 A large variety of accommodation options are available catering for backpackers to family groups. For the young at heart – we have a jumping pillow, kids playground, games room complete with PlayStation games, theatre room and separate area for toddlers. Other facilities include full amenities block, free Wi-Fi and family bathroom equipped with a full-sized bath. Our Valley View Units are in the top range of our cabins and ideal for those looking for high-quality accommodation in a beautiful setting. 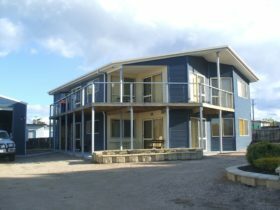 Located in a natural bush setting, the furnished balcony offer great views. 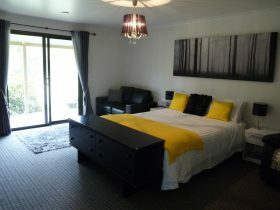 The Studio Units are the ultimate choice for singles or couples. The 4.5-star cabins are modern and ideal for corporate travellers or for a romantic getaway. As the name suggests, our Family Cabins are popular among families and groups of up to 6 and offer fully self-contained accommodation with a furnished deck. Our newly refurbished Family Budget Cabins are a great affordable option for families with up to 2 children. 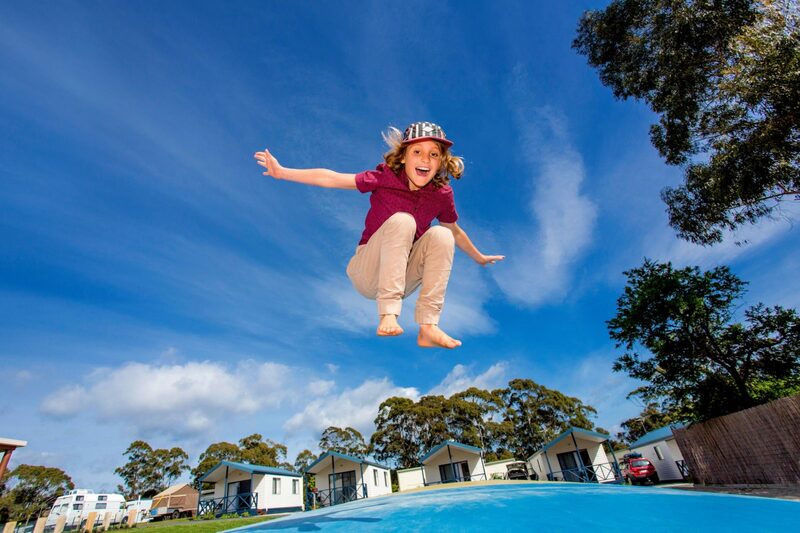 Our six berth Family Budget Cabins are newly renovated and ideal for larger families looking for an affordable getaway. Sharing is caring, but sometimes your own private bathroom can be nice for some extra privacy and convenience. Pets welcome! 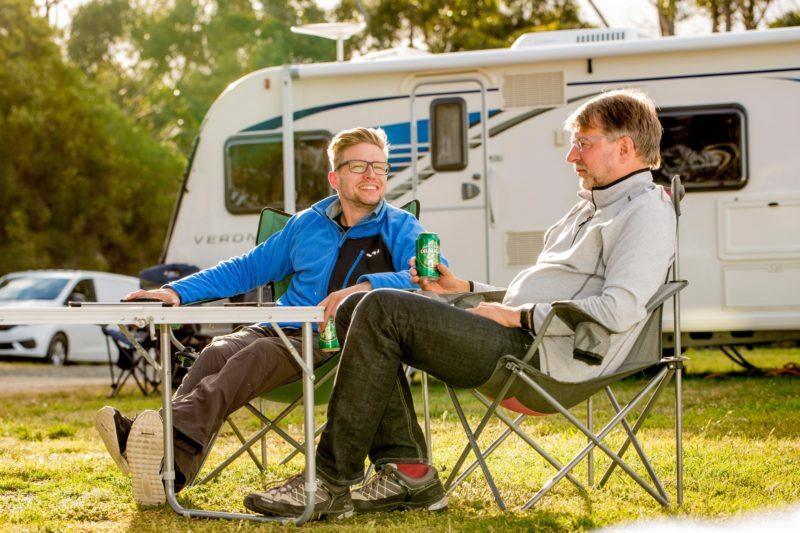 Our spacious Powered Sites are close to all amenities and facilities and offer a nice grassy foundation for your van or tent or motorhome of any size. Tree/shaded sites available and pets welcome! Enjoy the freedom of real camping on our shaded, grassy Unpowered Sites. Choose your own location and use as much space as you like – no restrictions! Pets welcome.